Play with Movies kicks off the fun with a Cine Mini Farm, themed crafts and activities, farmers' market food stalls and a licensed bar! 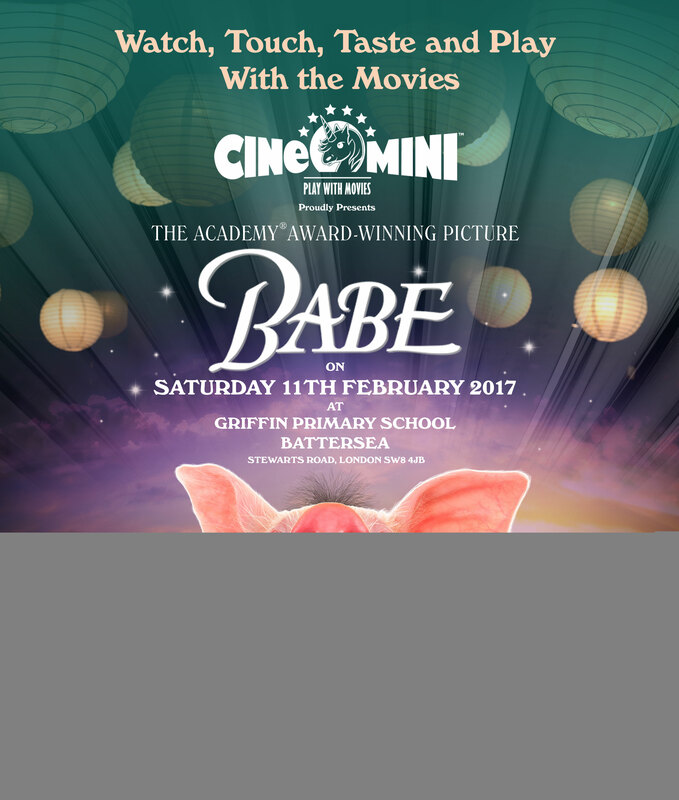 WATCH: Cine Mini presents the award winning movie BABE! Sit, relax and enjoy the movie the Cine Mini way on family sized BEANBAGS provided by Beachbum UK. TOUCH: Meet Babe and friends, get close to real live FARM ANIMALS from Vauxhall City Farm. TASTE: Delicious food for the whole family to enjoy from our FARMERS' MARKET STALLS including... The Healthy Cake Company, serving up sugar/dairy/gluten free treats, American Inspired Leo’s Hot Dogs, who use only British free range pork frankfurters and vegetarian hotdogs, and Rude Health will be joining us with their own special craft table and some exciting giveaways! Wash this all down with a drink from our well stocked CINE MINI BAR offering... bubbles, wine, beer, hot drinks, and a wild orchard of juices and soft drinks from Luscombe Drinks. PLAY: Yee ha! Enjoy mini tractor rides. Get your hands dirty with planting your own bulbs. Country crafts. Face painting. Parents can relax with manicures and shoulder massages! And plenty more! Short walk from Clapham North Tube Station (Northern Line) or Stockwell Tube Station (Victoria Line) and Clapham High Street Overground, minutes from Wandsworth Road Station, Battersea Park Station and Queenstown Road Station. Buses 77, 87 from Clapham Junction Station towards Vauxhall.